CodeRage: Building mobile apps that connects to Salesforce and SAP/R3 | It's All About Code! I’ll be talking at CodeRage XII about the new Enterprise Connectors. The Enterprise Connectors has 80+ data sources available, but for this presentation my focus will be directed more to enterprise solutions, in particular SAP and Sales Force. During the presentation we’ll understand how to get and update data for these two platforms, and how to create mobile clients to attend remote users using both DataSnap and RAD Server. So, stay tuned in this blog post, I’ll update this entry after my presentation with the samples and slides. 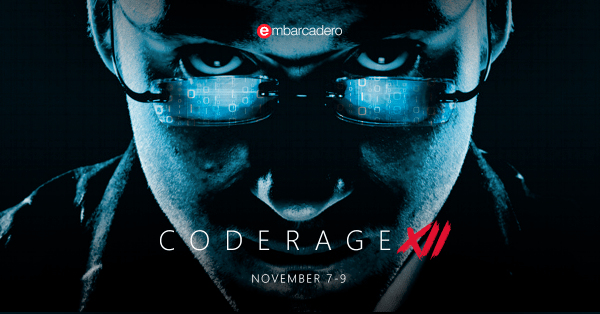 This year the online conference will be hosted both on GoToWebinar and on Embarcadero Academy at https://www.embarcaderoacademy.com/p/coderage-xii, where you can sign up and see the detailed schedule. This entry was posted in RAD Studio. Bookmark the permalink.